Mozambique’s largest city, Maputo, is also its capital, as well as the home of the country’s largest airport, Maputo International Airport. Mozambique can be traveled for as low as $30 a day, though most travelers will find $45 a day sufficient. 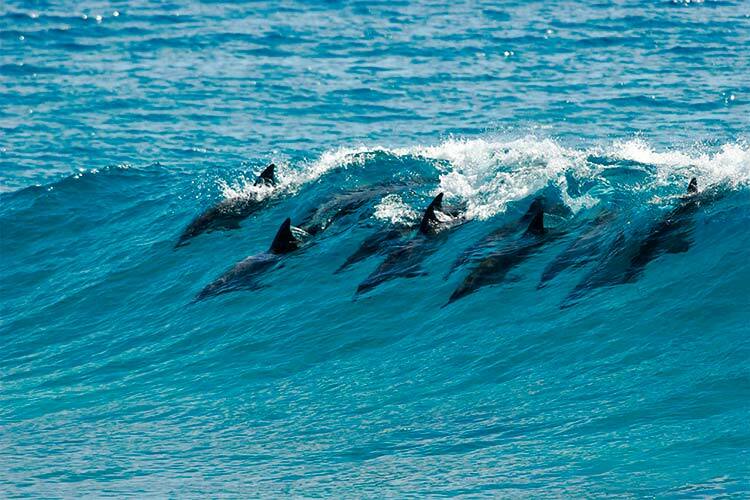 Most travelers come to Mozambique during the dry season of June through October. Temperatures during the dry season are usually near 15˚C (60˚F), rising to the mid 20s (75˚F) during the wet season. Colourful handmade crafts and masks are common souvenirs from Mozambique. Mozambique enjoys a prime location against the Indian Ocean on the far southeastern tip of Africa, next to South Africa, Zimbabwe, Tanzania, Malawi and Zambia. In recent years, Mozambique has grown in popularity among travelers for its nature and culture, as well as its political stability. Due to nearly four hundred years of colonization, Portuguese is the most widely spoken language in Mozambique, though only half of the population use it as their first language. That said, all major tourist destinations and most urban Mozambicans use Portuguese. Mozambique’s early history is largely dominated by the presence of the Bantu people. Even today, the vast majority of Mozambicans are of Bantu descent. Most estimates claim the Bantu first came to the region of Mozambique between 100 and 350 CE. The Bantu gradually spread through the country, basing most of their existence around agriculture and livestock. 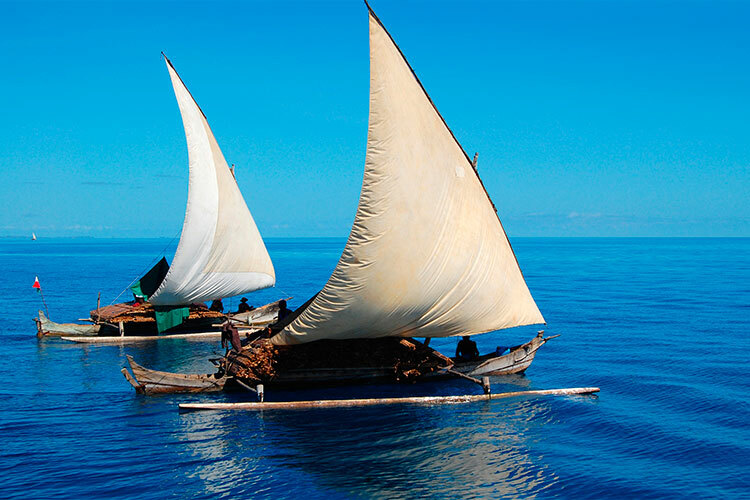 Another early influence on Mozambique was the Swahili people, who traded heavily from Mozambique’s coastline. Arabs also used Mozambique’s coast for this reason, and they established a number of stronghold throughout the country. Both the Swahili and Arab populations in Mozambique date to years near 1000 AD and through much of the second millennia. In 1498, Portugal first made contact first with Mozambique, and began to colonize the country within a decade. This began nearly four hundred years of colonial rule and intense slavery, though Portugal was never truly able to take full control over the country. Up until the 1700s, Portugal pushed back Arab forces in an attempt to overtake the lucrative Arabian coastal ports, but these efforts ultimately proved unsuccessful. Ultimately, Portugal’s claims to the country were largely pushed back, and by the 20th century Portugal had placed several private companies in charge of the nation. These companies enacted a quasi-legal forced labor policy which received huge public backlash, and the Portuguese government tried to take back control in the 1950s. However, in 1964, Mozambique began its fight for independence, which was achieved in 1975. The country promptly fell into a bloody civil war, lasting until 1992. Since then, a democratic republic has controlled the country. Though Mozambique is still developing, it has achieved a greater degree of political and economic stability than many of its neighbours. Maputo, Mozambique’s lively capital, is often lauded for its myriad of cultural and architectural influences, which include Arabic, European, and African. The Maputo Central Train Station is a popular attraction due to its lovely design, as well as for the number of bars in the surrounding area. Another popular attraction near the city is the Maputo Elephant Reserve. This large park not only contains elephants and hippos, but also an endless expanse of open white beach. Many travelers also use Maputo as a central point for day trips. Inhaca Island is a popular day trip; this wild island has some beautiful coral reefs and a variety of wildlife. 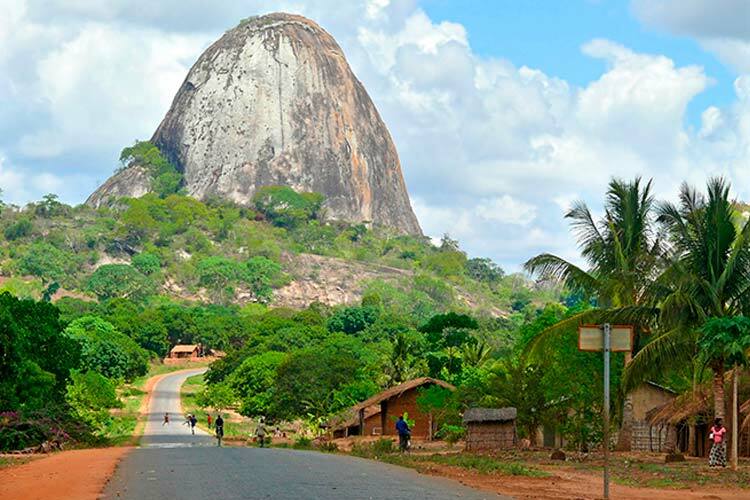 Nampula is the largest city in northern Mozambique, and as such has lots to offer travelers. Numerous locals from the region set up shop in Nampula, and the city boasts a well stocked market with tons of unique wares. The whitewashed walls and domes of the Nampula Cathedral have become something a symbol for the city and are definitely worth a visit. Furthermore, the city also contains a fascinating cultural museum called Museu Nacional de Etnologia; the halls of this museum host a number of interesting artifacts from Mozambique’s indigenous populations. Nampula also contains a handful of lovely beaches, with Quissimajulo Beach and Ilha Crusse being two of the more popular beach destinations. Near Nampula is the Island of Mozambique, which is widely considered one of the best cultural tourism destinations in all of Africa. During the Portuguese colonial period, the Island of Mozambique was the country’s capital, though Arabs used the island as an important trading port for many centuries prior to the Portuguese arrival. Nearly the entire island is composed of traditional colonial and Swahili architecture. The fort at northern tip of the island is quite interesting, and it contains the Church of Nossa Senhora do Baluarte, the oldest European building in the southern hemisphere. Next to the fort is a great dive location, accompanied by a gorgeous beach. 1) It’s hard not to begin a trip through Mozambique in Maputo. Be sure to see the city’s famous historic sights, namely the Maputo Central Station. Furthermore, spend time relaxing on the beaches or interacting with wildlife at the Maputo Elephant Reserve. Remember to sample some Maputo’s restaurants, as they are considered some of the country’s finest. 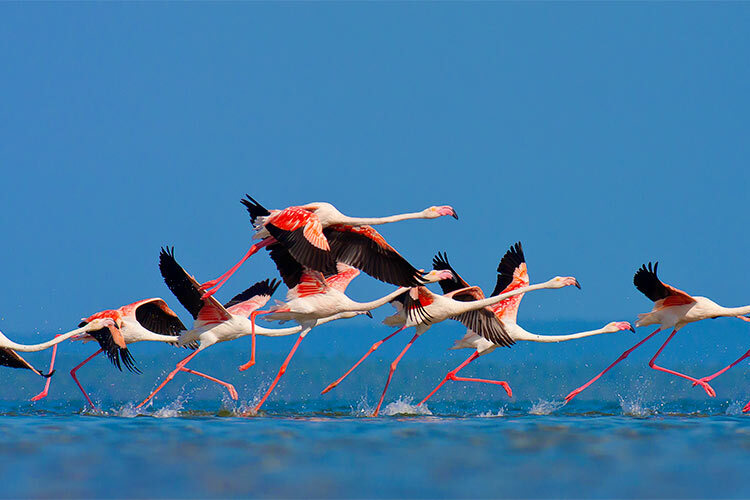 2) The Bazaruto Archipelago is a group of islands of the coast of Mozambique known for their untouched beauty. The islands are occupied entirely by a nature reserve, and guests ought to spend time acquainting themselves with the wildlife, especially the numerous seabirds. Of course, there’s plenty of unspoiled beach to relax on and colourful coral reefs to dive through. 3) Though Beira is a major port city in Mozambique, it’s a bit off the beaten path for tourists today. That means there’s lots of authentic Mozambican charm to discover. 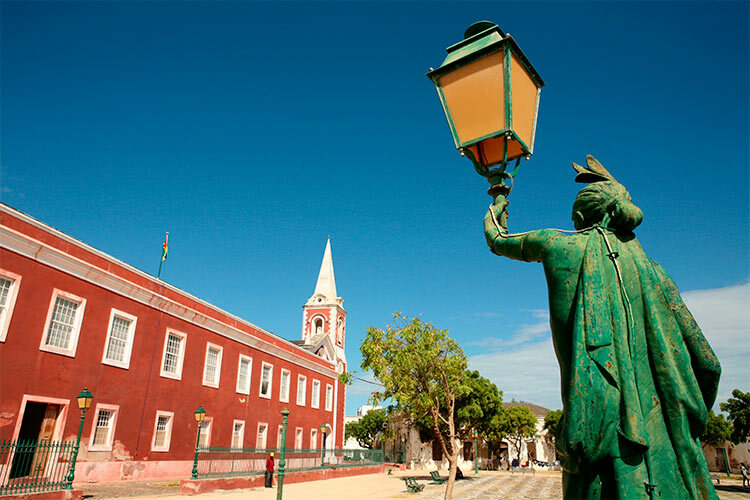 Many of the city’s more historic sites are near the port, including a large cathedral and numerous colonial era buildings. Savanna Beach and Makuti Beach are two of the more popular beaches, the latter of which features a lovely lighthouse. 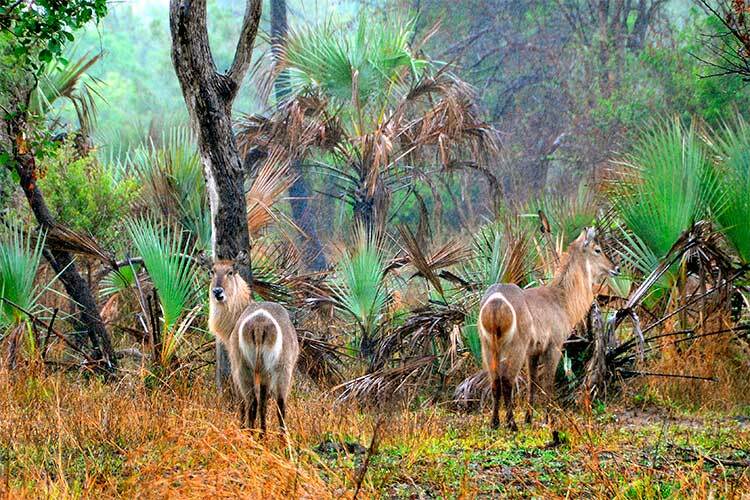 4) Gorongosa National Park is one of the best wild areas left in Mozambique. The park contains savannah, grassland, and woodland biomes, with a handful of rainforest areas on the slopes of Mount Gorongosa. Hippos, lions, warthogs, and a number of other forms of wildlife can be found in the park, though Mozambique’s lengthy civil war had a profoundly negative impact on the park’s wildlife which most wildlife populations have yet to recover from. 5) Spend some time shopping in the central market in Nampula, and you’ll be surprised what items you find for sale. Nampula’s central cathedral is also worth exploring, as well as the cultural museum Museu Nacional de Etnologia. When you’re tired of exploring, head to Quissimajulo Beach for a bit of rest and relaxation. Ilha Crusse is also a great beach, and retains a bit more of a natural atmosphere than Quissimajulo. 6) Wander through the streets of Island of Mozambique and take in the artisanal architecture. Once you’ve reached the north end of this small island, head into the old fort and try to imagine the island during the height of its glory. The fort also contains the Church of Nossa Senhora do Baluarte, the oldest European building in the southern hemisphere. 7) Though most of the world knowns it as Lake Malawi, most Mozambicans refer to their portion of this iconic lake as Lago Niassa. This massive lake is Africa’s third largest, and is most famous for being the home of more than 1000 species of colourful cichlids. Mozambique has declared their section of Lake Malawi as a natural reserve, and there’s plenty of hiking and other outdoors activities available to travelers.